When black tie is an option (and even when it isn't! ), reach for this 18kt white gold bangle! Crafted in 18kt white gold, it features a center row of white diamonds bookmarked by a row of black diamonds above and below. 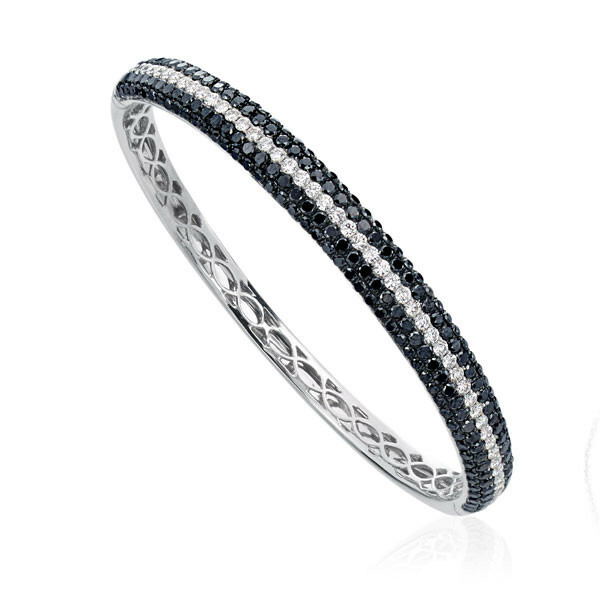 This bracelet is as beautiful on the inside as the outside, with graceful grillwork on the interior, too.